Got me salivatin’ over here! LOL. Man that looks good! Good, that was the point! I want another one so badly…can’t wait until the next time. Wow! Thank you Antoinette for your wonderful review and visiting the Farmer’s Famous Fish Family. Now you are hooked!!! We are so happy that you had an opportunity to hang out with us! Our Customers make us want to give them the best! We love great food and feel everyone should have the same experience! We thank our our family, friends and community for their support! God is truly blessing us on this journey and ask that all continue to keep us in prayer on this journey to give you the best! 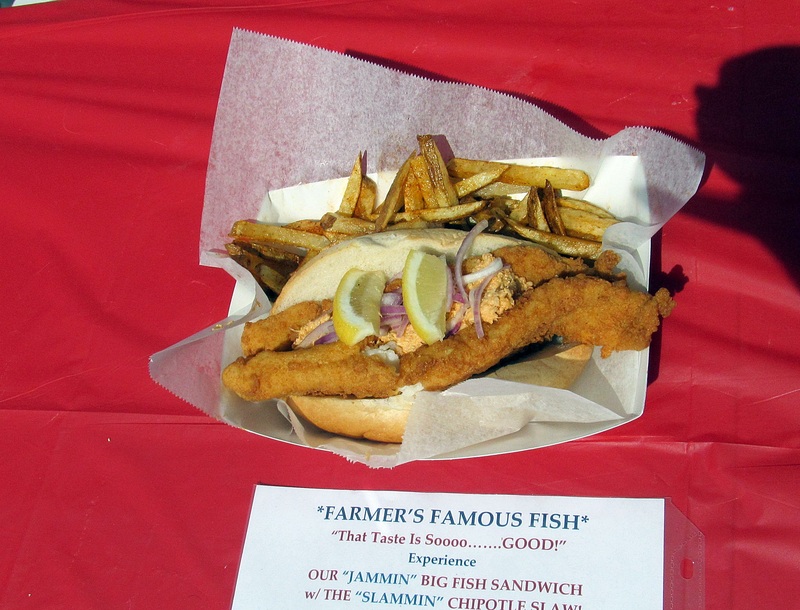 Come on out and see us at Farmer’s Famous Fish on Saturdays and Sundays @ the BP Gas Station on Route 40 And 896, weather permitting. 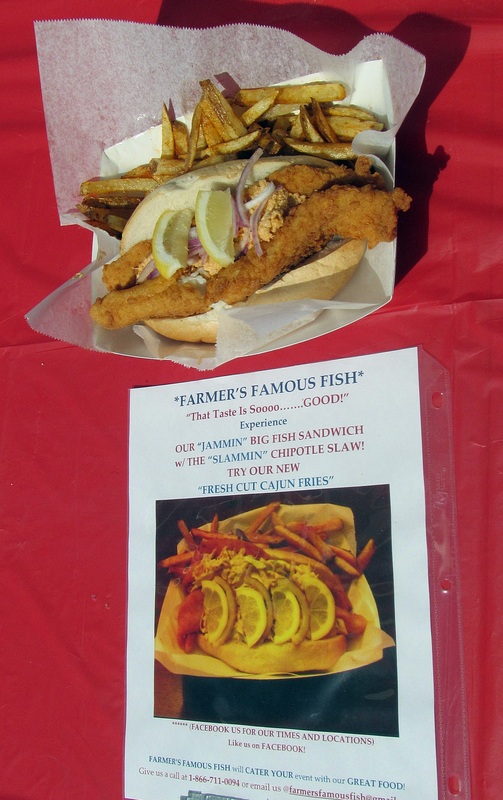 Please be sure to email us at farmersfamousfish@gmail.com for us to put you on our contact list, so that we can keep you posted regarding our vending whereabouts. Thanks again Antoinette, you are beautiful and a blessing, from F.F.F. Prayers to you and the entire family and I know you will be blessed in all of your business endeavors. I am spreading the word because I believe in the product. Take care and see you guys soon! Farmers Famous Fish relocated to parking lot across from Bruster’s IceCream in Glasgow. I must admit that I’m not a fish fan, but that looks like an amazing sandwich. I’d love to try that sweet potato corn bread! You definitely would enjoy this.